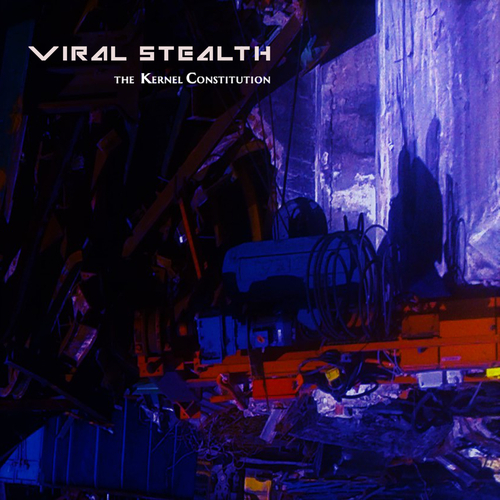 Viral Stealth's first album first album - The Kernel Constitution - is a rough and sincere lament on a personal history of physical abuse and torture during childhood followed by years of sufferings from psychosis, mental disease and hospitalization. But the album is also a philosophical search for a true human essence (the kernel) rejecting thousands of years of mechanism and materialism in western culture. The album’s song structure is divided into two parts, as a 12 inch vinyl with a side A (“First Declaration”) and a side B (“Final Declaration”), each in turn made to represent a psychic state versus a resistance and awakening.